Given the impact of Zika, it’s no surprise that a global contingent of epidemiologists, academic researchers, and pharmaceutical companies are striving to develop effective disease control measures and treatments. One challenge currently hindering the discovery and adoption of such measures is Zika’s close structural similarity to the Dengue virus. In this blog post, we briefly explore the risks posed by cross-reactivity, why it occurs and how it impacts research. What makes Zika virus such a global issue? As a member of the Flavivirus family, the Zika virus is transmitted primarily by the Aedes mosquito. Infection causes mild fever, rash, myalgia, arthralgia and headache, but is most often asymptomatic. Zika can however, have more serious consequences. Approximately 5-10% of babies born to women infected with the virus during pregnancy develop abnormally, while the virus also increases the risk of Guillain-Barré syndrome in adults and older infants. These factors are perhaps exacerbated by the lack of sensitive and specific diagnostic tools, likely to be crucial for enabling effective research and disease management, as well as the development of new vaccines and therapeutics. So, why have these tools been so challenging to develop? 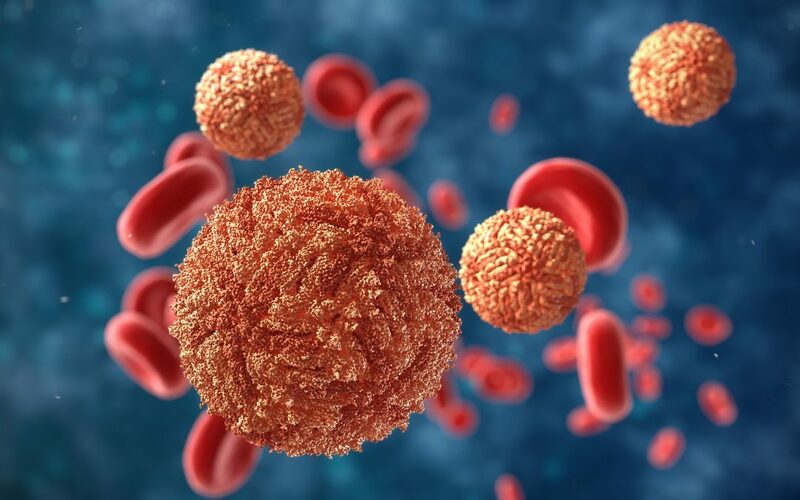 One challenge posed by the research community is the fact that the Zika virus is structurally similar to the Dengue virus, meaning that patients or samples infected with one virus may test positive for the other. This ambiguity between Zika and Dengue can bring test results into question, and therefore threatens the quality and reliability of research, drug development, and epidemiological control measures. Ultimately, Zika-Dengue cross-reactivity hampers our ability to accurately study Zika and overcome this epidemic, so it’s essential that we find ways to sidestep its effects. Why are responses to Zika and Dengue viruses so cross-reactive? Both Zika and Dengue are members of the Flavivirus family. Whilst all flaviviruses share some degree of structural similarity, Zika and Dengue are perhaps the most closely related, with 53.9% of their envelope proteins being made up of identical amino acid sequences. Many traditional serological tests for Zika and Dengue are developed against these envelope proteins, or against NS1 proteins, which also share a high degree of similarity. However, current immunological assays are unable to accurately distinguish between them. Fundamentally, a positive result could indicate that Zika or Dengue is present, but would require further diagnostic testing to determine which virus is present in the sample with any confidence. Unfortunately, traditional tools fail to offer the sensitivity and specificity necessary to meet this need. Since Zika and Dengue are transmitted in the same areas by the same mosquitoes (and share symptoms), it’s likely that a patient or sample could contain either virus (and possibly both)—highlighting how important it is to develop reliable tests. Cross-reactivity between Zika and Dengue impacts basic research, epidemiological studies, public health initiatives and pharmaceutical development. Fundamental research relies on reliable, high-quality data, but is hindered by the inadequacies of existing serological tests that can make it difficult to be sure which of the diseases is present in a given sample, bringing the validity of results into question. As such, a researcher could be drawing conclusions about Zika virus when in fact they’ve detected Dengue! What’s more, if a dataset contains both true and false positives, then there might be an artificial increase in overall variability that can mask important trends. Overall, this ambiguity weakens the data and can delay progress of understanding the virus (e.g., poor quality and ambiguous data are more challenging to publish, delaying the release of potentially vital information to the research community). In a similar way, unreliable data is problematic for public health officials, as they require accurate, comprehensive epidemiological data to develop global strategic plans to manage the disease. This problem is worsened by the fact that Zika infection can occur without presenting symptoms, meaning the only way to assess the true status of infection is by utilising diagnostic tests. This issue is of particular concern when it comes to asymptomatic pregnant women as babies can be born with severe abnormalities. Without reliable serological testing, it’s difficult to assess the true incidence of congenital abnormalities in babies born to infected women. This example really showcases how epidemiologists need reliable data in order to understand the scope of the epidemic and enact effective programs. As there are no targeted treatments for the Zika virus, pharmaceutical companies are under pressure to develop them as quickly as possible in an effort to control this epidemic. However, cross-reactivity between Zika and Dengue continuously threatens reliable development, as pharmaceutical companies need access to the highest quality and most reliable data to develop useful vaccines and therapies at a reasonable cost. There is no doubt that the Zika virus presents a great challenge to public health officials, academics, and pharmaceutical companies and a coordinated effort leveraging tools that are fit for purpose will be needed if we are to make headway in controlling this disease. Yet, all of these efforts are underpinned by the need for accurate and reliable data, which is threatened by the virus’s cross-reactivity with Dengue. Download our new eBook to find out more about this challenge, and how to overcome it.